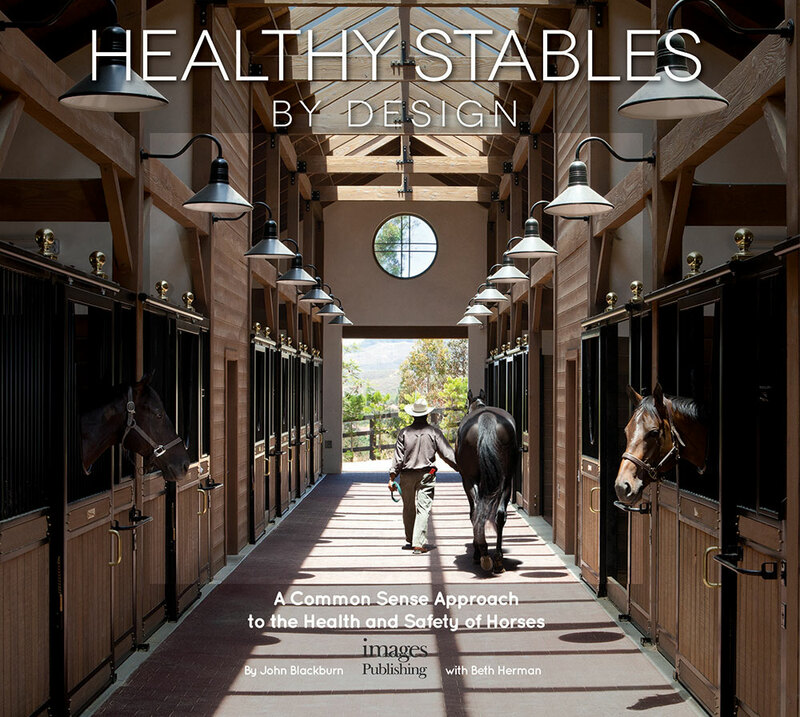 Book cover photo of stable with horses and ranch hand for Healthy Stables book. Stable design by Blackburn architects. Photograph by commercial photographer David Hartig.